Dr David Cipriani has extensive experience working in private practices in Sydney’s North Shore, Inner West, and the city. 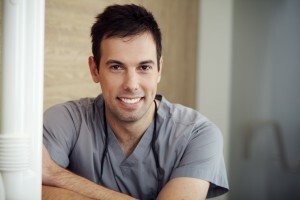 Dr Cipriani’s experience and enthusiasm is in conservative, cosmetic, and reconstructive dentistry, and he is also an advocate for educating patients on the importance of general oral health. Passionate about patient comfort and care, Dr Cipriani is known for his ability to clearly and sensitively explain treatment options and help his guests make wise, appropriate decisions. His approach to continued care also focuses on maintaining optimal oral health over a lifetime, through a balance of tooth and gum health, aesthetics, and comfortable occlusal function. Dr Ciprinai has a degree in dentistry from the University of Sydney and a degree in Commence from UNSW. He is forever furthering his knowledge and, as such, attends continuing education courses in Australia and internationally. This is where he came to the attention of Dr Copp. “I saw the exceptional quality of his dentistry and knew he would be a great fit for The Paddington Dental Surgery. I’m honoured he joined the team.” Dr Cipriani has been involved in tutoring of dental students at Charles Sturt University, and is presently undertaking a Masters in Clinical Dentistry with King’s College London. Having a particular interest in cosmetic dentistry, he is passionate about restoring patients confidence by creating wonderful smiles and by offering exceptional care with a gentle touch.